I first discovered ambigrams in the Dan Brown book, Angels and Demons. The typographic marvels created by designer John Langdon played a central role in the story. I marvelled as each was revealed. See below. These are inversion anagrams. Rotated 180º they are exactly the same. 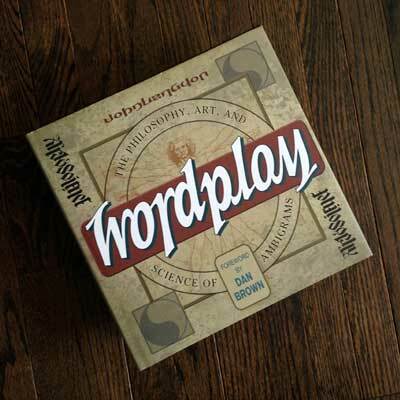 Last year, while perusing a local bookstore, I came across Wordplay, a book by John Langdon that features an extensive collection of his work with a depth of background information about his influences and many of the featured pieces. As I flipped through the book when I first picked it up I couldn’t help thinking this work was a typographical confluence of Salvador Dali and M.C. Escher. Both artists are mentioned on the book jacket. If you’re as fascinated with Langdon’s work as I am I urge you to get the book. It is amazing. Note on the cover that even the author’s name is an ambigram. I was so inspired by the cleverness of ambigrams that I decided to rebrand my company with one. See next post.